A team of University researchers have extensive expertise on materials possessing auxetic properties and how they can be used to develop and manufacture new or improved commercial structures and products. They have also developed a novel way of converting conventional foam to auxetic foam through the use of solvent instead of heat. Auxetic materials are also known to have better shock and vibration absorption properties. 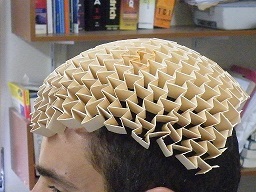 They also have a natural tendency to form dome-shaped double-curved surfaces, unlike conventional materials which tend to form saddle-shaped surfaces. 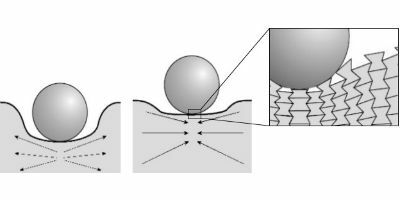 Such materials are particularly desirable in applications that require highly curved hard surfaces, such as certain contours along the human body. Auxetic materials, structures and foams can also be used to replace conventional components in various products used in specialised applications to produce higher quality products. 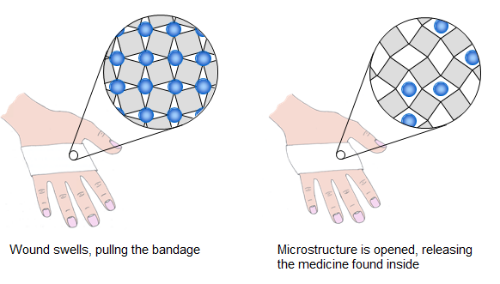 A bandage made from an auxetic microstructure impregnated with a healing drug. Auxetic foam has been prototyped. A patent application number GB1107220.4 was submitted by the University of Malta in the United Kingdom in May 2011. This was granted under number GB2480905 B in July 2013. Patent application number MT4236 submitted in Malta was also granted to the University of Malta. Cardiovascular disease is one of the leading causes of death in the Western world. An increasingly common form of treatment for this disease involves implanting a stent into an artery where a blockage is present. Each year, this type of treatment helps in saving the lives of many people who would otherwise suffer from heart attacks that result from blockages in blood vessels. Stents used at present are sometimes inflexible and may not behave in the same way that a blood vessel inside the body would. This can result in stresses within the walls of the blood vessels, to which the body may react negatively. Additionally, when the stents are deployed, they tend to get shorter which may cause some difficulties in the correct placement of the stent within the vessel. Our team of researchers have designed heart stents using auxetic materials, making them less likely to collapse due to the material’s ability to expand the artery as the flow of blood increases. This capability keeps the artery open and reduces the occurrence of thrombosis, which is when the blood vessel becomes completely blocked leading to heart attacks. Auxetic heart stents have an advantage over conventional stents by being able to widen the artery without shrinking in length hence risking becoming misplaced. Dislodging of heart stents is a major cause of their failure. Auxetic heart stents may overcome many dangers of conventional stents such as sliding out of place or damaging the artery. 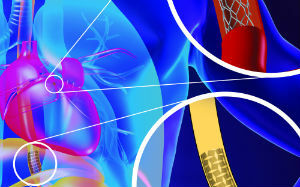 Stent insertion is, therefore, made easier for the doctor, giving a better result to the patient. Such interventions would be more efficient, reducing operating times and costs while sparing the patients from undue stress. The stent was created for implantation into an artery. However, by altering the size of the stent, one could envision the use of such a device for other scenarios (such as oesophageal cancer). The technology is in the initial design stage. Intellectual Property protection measures are in progress. The team have extensive know how in the field of auxetics and how it can be applied to the development and manufacture new or improved commercial structures and products. We are interested in collaborating to design smart materials around their technologies.